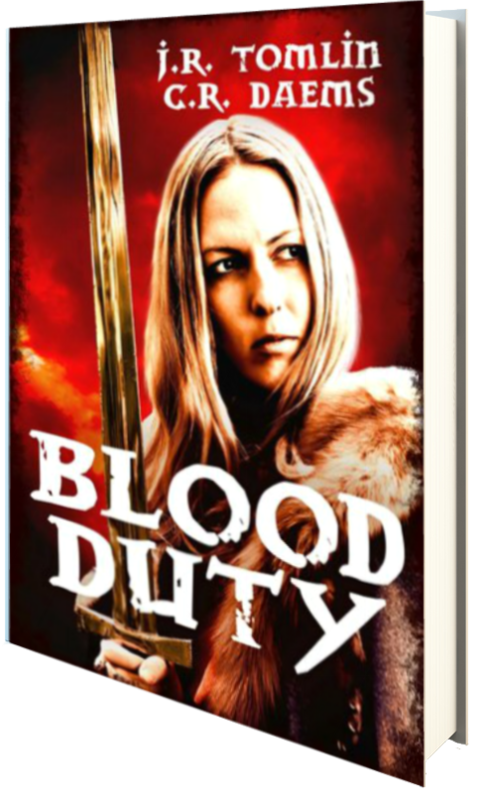 From Goodreads: In a remote mountain valley, a scout is tortured and killed in a brutal rite of summoning. An army of demons will soon be on the move. Fellow scout Jessup Inntour wouldn’t care very much if the empire he reluctantly serves is attacked, but the woman he loves is another matter. Tamra Dervon, Captain of the Guard of Wayfare Keep, thinks her biggest problem is her love affair with Jessup. The scout is holding things back from her, and she doesn’t know what. But when the seemingly unbeatable army of demons invades, Tamra’s personal problems look very small. Tamra and Jessup find themselves leading a last-ditch defense. Their army is defeated. Jessup disappears in the retreat. As Tamra continues the struggle to defend her homeland, she discovers that another duty lies ahead — to face a demon horde alone. For those who really enjoy Fantasy novels, I highly suggest this book. Although my tastes have changed over the past few years and I’m no longer a fantasy fanatic, this novel definitely piqued my interest and kept me captivated from beginning to end. It’s a fast paced novel full of battle scenes and preparation as a blood-lusting King and his army, full of dark magic, march across the land, leaving no survivors. Bent on taking the kingdom of Ilkasar as they approach, the dark King and his mages torture and kill those in their paths, using magic to bind the dead to huge creatures of the dark. Jessup and Tamra, the two main characters of this novel, work to battle against the incoming force, but the army they are up against is much more than they can handle, and it will take an offset of strong magic to break the dark King and his army from taking over all the land. I really enjoyed the imagery in this novel, and for me, it was like the battles of Helms Deep and Gondor (Lord of the Rings Series) in my mind. With the lumbering monsters and the evil army attaching the forge, it played out in my mind much the same, and it was great fun to read, especially as the defending kingdom is caught completely unawares. The Ixich is a great beast full of magic, and I could see it in my minds-eye as it attacked, using magic of its own to take down the enemy… in this case Tamra and Jessup and their army. I also liked that in this world, woman fight as warriors alongside the men, and while Jessup is a talented scout, Tamra is the leader of the Keep’s army. She is a great warrior, though tied to her duty even though she wants nothing more than to ride off into the abyss with be lover, Jessup. I love that she is strong and that both men and women alike are shown as strong entities in this novel—it was a fresh change from the many fantasy books I’ve read where the women are helpless and the men must care for all. Overall, this is a great novel that I highly recommend. Four stars.